This is where you can hear samples of the musical directions I have taken since 1985, when I started playing drums. Apart from some pointers given to me by Dan Legault, who let me try his drum kit in his house near mine on Applegrove, I am self-taught. 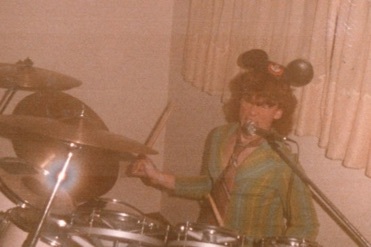 My first teacher besides Dan was Friday Night Videos... the only way in 1984 a kid could see what those drummers were doing, and be able to imitate. I never could spin those drumsticks like Tommy Lee. It wasn’t for lack of exposure, as I remember concerts at the Verdun Auditorium: Motley Crue (with Accept) on the Shout at the Devil tour; Ronnie James Dio on 3 consecutive tours, starting with Last in Line; Metallica touring for Master of Puppets. Later it was the Forum for Def Leppard, Aerosmith, and Queensryche, among others. 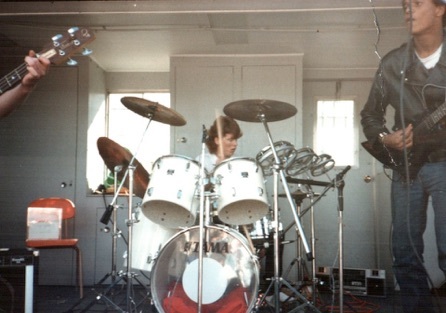 But I had the initial breakthroughs in my coordination drumming on my legs on the 206 bus, on my way to school, Walkman blasting Scorpions or Metallica, I would fail to keep rhythm, not getting it, not getting it, not getting it, until something finally clicked. My dad spotted me the $1,500 needed to buy my first kit, which has so far turned out to be the only kit I’ve ever owned: a Tama Swingstar (i.e., the bottom of the line). This kit has sounded alternately terrible and great, depending on the phases of my “tuning” technique. Thank god I started putting the bottom skins onto my toms sometime after puberty. I also thankfully expanded my musical taste to rock, jazz, and more recently styles as diverse as New Zealand reggae dub. These days, I am putting together a new cover band, because I miss making music. Especially, I miss playing in front of an audience that gets into the songs. Looking forward to seeing you at the next show. For now, here is a brief history of the bands and the music, in non-chronological order. Enjoy. the Sapphyre days, with Dave and Sylvain from McGill Engineering. Dave and Kevin quickly clicked in the stringed instruments section, and I knew that as a rhythm section partner Dave is second to none. Sylvain displayed an impressive ability to cover various singers and styles, and also provide keyboard support. We played various shows during the McGill days, including Open Air Pubs during McGill Orientation Week, and the Mad Hatter Pub in Montreal. Our covers ran the range of The Hip through Pearl Jam, Stone Temple Pilots, and Alice and Chains. After disbanding for several years, the same lineup came back together from 1998 to 2006. The covers selection branched out to include francophone material, The Arcade Fire, Coldplay, and Killers, as well as 80s covers as diverse as Purple Rain, Rio and Rebel Yell. When Dave and Mary Ann moved to Calgary, this spelled the end of live performing for me. Stay tuned for the next project! A band with a plan to convert the world to our brand of “punk music”... two kids who could barely play at first, and had no clue what punk music even was. To us “punk” meant playing bad on purpose, so our lack of experience served us well. But there certainly is a spark there, in those old M.O. recordings that I have lovingly rescued from a dusty box of tape cassettes and uploaded to Myspace. Listening to M.O., I can hear myself develop as a musician, from the early days where to “Zit Smith” (my alter ego) staying in time seemed to be an afterthought, to the later, more polished-sounding recordings with additional M.O. member, “Bum B. Chum”. We had to be rehearsed, as a third musician and pure on-the-spot invention of the songs would have ben a recipe for nothing but noise. The Bum B stuff is good, but those earlier recordings with just guitar and drums really had something else: youthful exuberance and charm from all the dog-ears and pre-pubescent lyrics, the flashes of Testie’s brilliant overse’eing. And man, did “Crap Jones” ever come up with a lot of great riffs over the years. A creative juggernaut is our Mr. “Jones”. 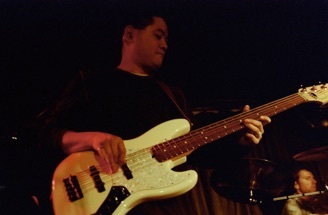 and screaming solos were a good complement to the musicality of Steve's basslines and my somewhat cartesian drumming. We never found a way to integrate a singer, but the original songs hit hard nonetheless, mostly due to youthful exuberance (Ian was the oldest, and he was 18 at the time). Redemption built a small following for gigs we played around Montreal’s west island in 1987 and 1988. 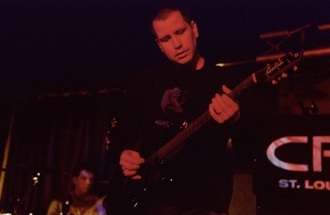 After disbanding in 1989, Steve returned to guitar, and went on to form O.C.D. (later Necrosis, and then Cryptopsy). Steve and I continued as “Crap and Zit” with M.O. Perhaps poetically, Ian has dropped out of our sight completely. Even this photo (the only one we have of Ian) has a rip between him and us. I have a fond spot in my heart for this, the first band I ever played in. Probably the fondness would be accompanied by much wincing if I had a surviving tape of this foray into the simplest of metal songs. We were all pretty green in 1985. I hadn’t started drumming yet; that would come after tips and pointers from Dan Legault, who let me try his drum kit, and got me started on the path to teaching myself. 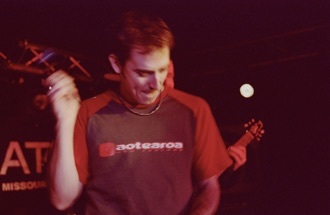 I was lead vocalist, Dan Legault the drummer, and guitarists were Steve Thibault and Tim Leggett. Our repertoire was severely limited. We played 4 metal covers that were as incongruously combined as Celtic Frost and Twisted Sister. We did have one original, a song called Vegetable Man, which in some ways was the prototype for the hundreds of M.O. songs to follow. 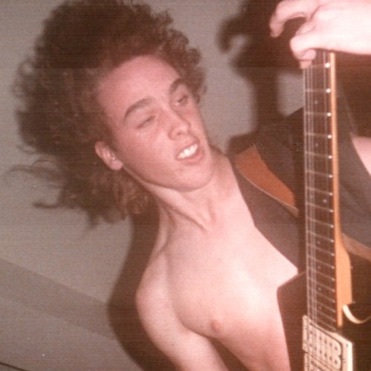 Fondest memory of Holy Avenger days was the show in the P.C.H.S auditorium where Steve set the headstock of his guitar on fire: imagine teachers freaking out as burning bits of tape fell to the stage, all to a soundtrack of Accept’s “Balls to the Wall”. Holy Avenger turned out to be a seminal band: Steve and I went on in our prolific M.O. career, and as Redemption to covert our unconvertable adolescent contemporaries to metal. 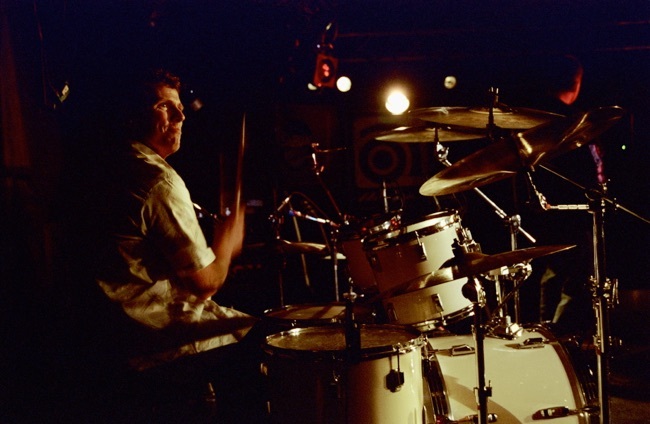 Tim Leggett went on to form the infamous Milfy and the Burnouts, and of course, Dan Legault in some ways IS drumming in the Montreal Band scene, having played in numerous bands and produced several international artists. Steve and Paul get “serious” about metal covers. A short-lived, but “Swyft” flight to oblivion, coming soon. 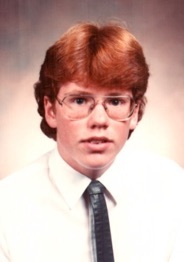 While waiting for the story, here is the sordid evidence of those 1985 jams. We had the audacity to sell this to our classmates... oy vey. 1989 to 1991, with members Kevin Burnett and Donald Selkirk on guitar, George Sofianos on bass, and Mike Philipps on lead vocals. The Sapphyre story crossing borders, and coming soon!